Major campaign finance reform legislation strongly supported by Common Cause in Wisconsin (CC/WI) passed today in the the Assembly Elections and Campaign Reform Committee and is now ready for scheduling and consideration by the full Wisconsin Assembly -- most likely when it next holds a floor session in September. The first measure to be passed was ASSEMBLY BILL 63, introduced by Rep. Kristen Dexter (D-Eau Claire), that would require the disclosure of donors and regulation of money used in currently undisclosed, unregulated campaign communications masquerading as issue advocacy, better known as "phony issue ads." These measures would apply only to widely disseminated communications that run 60 days or less prior to an election. 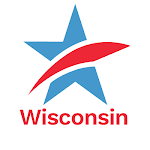 This legislation, first proposed and devised by CC/WI in 1997, would close the single largest loophole in Wisconsin's currently loophole-ridden campaign finance laws. The vote in the committee was a strong, bipartisan 6 to 1. Voting for the measure were Democratic State Representatives Jeff Smith of Eau Claire (Chair of the committee), Rep. Jim Soletski of Green Bay (Vice Chair), Rep. Fred Kessler of Milwaukee and Rep. Kelda Roys of Madison. Republicans voting for the measure were Rep. Don Pridemore of Hartford and Rep. Roger Roth of Appleton. The lone vote against AB 63 was Rep. Jeff Stone (R-Greendale). Rep. Annette Williams (D-Milwaukee) was absent. The second measure to be passed was ASSEMBLY BILL 65, introduced by Rep. Gordon Hintz (D-Oshkosh) and Rep. Steve Hilgenberg (D-Dodgeville), which is better known as the "Impartial Justice" bill. It would provide full public financing to qualified candidates for the State Supreme Court who voluntarily agree to abide by spending limits totaling $400,000. The vote on this measure was closer, 4 to 3 with the four Democrats voting yes and the three Republicans opposing it. Rep. Roger Roth expressed concern about the funding mechanism in the measure which would raise the current one dollar check-off on the state income tax form to three dollars -- with two of those three dollars to be used for public financing of Supreme Court elections. Roth, Rep. Don Pridemore and Rep. Jeff Stone all thought that not enough revenue would be raised in that way to fully fund the grants of $400,000. But Rep. Smith said that he favors a more varied funding mechanism than that which was contained in AB 65 and that changes to address some of the Republican concerns could be made when the legislation was considered by the full Assembly. Both campaign finance reform measures await votes in the State Senate Committee on Campaign Finance Reform which is chaired by Sen. Lena Taylor (D-Milwaukee). CC/WI will be pressing for that to occur so that the State Senate will consider and pass them in September at about the same time the Assembly does. For a more thorough explanation of what each of these measures does, you can read CC/WI's written testimony on AB 63 and AB 65 here. Phony Issue Ad Disclosure and "Impartial Justice" Reform Legislation Both Win Votes in Assembly CommitteeTweet this!